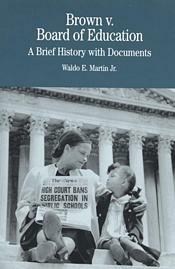 This book addresses the origins, development, meanings, and consequences of the 1954 Supreme Court decision to end Jim Crow segregation. Using legal documents to frame the debates surrounding the case, Waldo Martin presents Brown v. Board of Education as an event, a symbol, and a key marker in the black liberation struggle. "This is a very fine book. The introduction is excellent. It was helpful for me in honing my own thinking about the Brown case and should be invaluable to students at all levels. I was particularly impressed with the way Martin analyzes the historical context and the long-term implications of the NAACP’s integrationist approach."